To me, this is a really sweet story. The reason of how they 'broke up', how they've lost contact, she, in the novel has never told him. At first, I wanted to see that she'll someday, somehow explain the reason for it. * It's really touching how he consider the fact that they are not broken up, since they never had such a conversation between them. ... more>> But after finishing the novel, the fact that such a important piece of their pass was never mentioned makes me feel profound. She never spoke of it, he never asked why. It struck a chord in me. Had she said, had he asked, what would have happened then? How would they have to react? Afterall, for her, what could she have done about the fact that her parents stopped her from contacting him. By explaining about it, would it feel like she had any complaints towards her parents about it then? What would have been the point of it? Without mentioning this in the novel, although it makes it feel that it lacks such an important part of the story, it leaves the novel free of angst. While many would prefer it to be mentioned, the lack of it makes the novel seems like a gem to me. In the end, it makes me feel like they have considered the reason for their lost of contact, although important, it is now just a piece of their past. Afterall, bringing it up may just cause sorrow when the fact that they are fortunate enough to be able to reunite is such a beautiful thing. Perhaps, they will speak of it one day. A cliche of reunited love story, told in Mo Bao Fei Bao unique storytelling nuances. Two lovers met in a game, subsequently separated because of some minor misunderstanding, and years later meet again. No anguish or particularly vicious love rival here, so “Still not wanting to forget” is very suitable for you if you are looking for a heartwarming love story without too much drama. If you are like me and like to know everything about a couple's past and relationship then you will be disappoint like I was. Hence, the 1 star docked. Why did he never ask why she stopped all contact!? Give me that scene! It's a short story so its best to think that we are getting just a short glipse into their relationship with none of the drama and heartache. A short and sweet love story between two people that was brought back together again after so many years. In the beginning I was iffy about this story but after 2 chapters or so I began to find that it’s pretty cute. It’s a good quick read. Another novel in which the male lead managed to explain his suffering to the female lead and ensemble cast, but the female lead never gets to tell the male lead her side of the story. Sigh. It's not enough for female lead to just think it, I want it said out loud so the male lead can get over himself! He's not the only one with feelings. I thought the first half was better than the second. The male lead irresponsibly and irrationally demanding that the female lead go to the... more>> filming location because he was jealous (not mentioning that the female star of the movie was pretty obviously flirting with him) rankled and he would have been a lot more mature (he's 30 for goodness' sake!) in my eyes if he had refrained from that. Extremely short, sweet, relatable fluff. However, it is too short- almost like a preview of a story instead of the actual. I still cannot get over how they never brought up the subject of why they 'broke up' at the first place which is an extremely important topic for reconciling their feelings. Maybe the author is trying to illustrate that it didn't matter to the male lead why it happened since he still loved her regardless.
. Granted, it was very obvious from the onset that the romance/story will be between the FL and ML, but the lack of communication and resolution as to what happened in the past just leaves me hanging. And with this plot hole, I felt that there was a serious lack of progression/development in the romance and characterization of the two main leads. 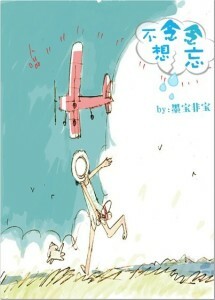 This novel is so cute. There's no third-person-liked-the-MC character. The story flowed how you want it to be. There's no drama which I like as of the moment. All you get is the sweet and very fresh feeling of love. if you're fed up reading super dramatic novel. I highly recommend this novel to you. I just wished that the author includes a part when the MC told the reason why the communication between her and the ML stop. I even wonder why the ML didnt even asked about it. After not seeing each other for such a long time, the both of them acted like theres no misunderstanding happened between them like as if MC not contacting ML suddenly didnt happened. Wish it was longer. Story seems to end suddenly. Still liked it. It is about a live story and second chances. No angst. Happy ending. All I can say is, this could've been better like tear jerking. But nope, author decided to rush it out. No feelings and all that.